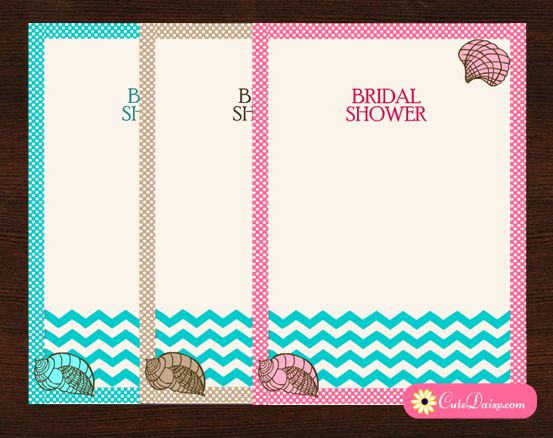 Today I created the lovely Beach Bridal Shower Party Invitations in 3 different colors. If you are having a fun Summer bridal shower party on the beach you can surely invite your guests by sending them these adorable free printable and colorful beach bridal shower party invitations decorated with images of colorful and funky flip-flops. 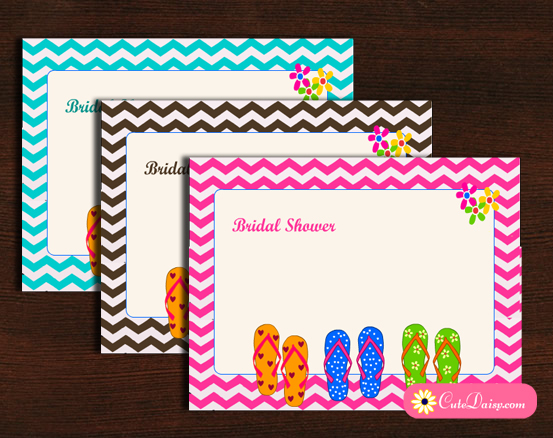 I have created these invitations in three different colors and I have made editable PDF files for these invitations in which you can fill in your own text according to the time and date of your bridal shower party. 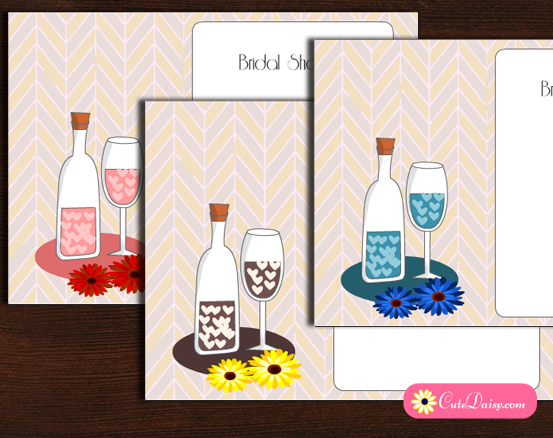 These PDF templates are for personal use only but these are very easy to personalise and you can print these according to the number of your bridal shower party guests using your home printer. Click here to download this adorable bridal shower invitation that is decorated with pink chevron pattern and beautiful and funky beach flip-flops. I have also made a matching address label with this invitation. 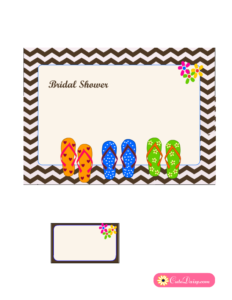 You can add your own text in it before printing and print as many copies as you like according to the number of your bridal shower party guests. 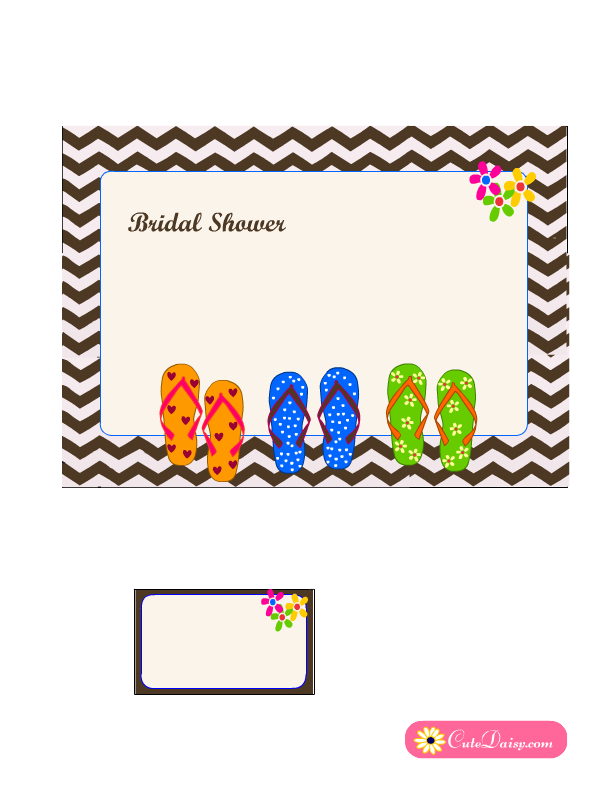 This is another color variation for this bridal shower invitation template. Click here to download it in brown color. 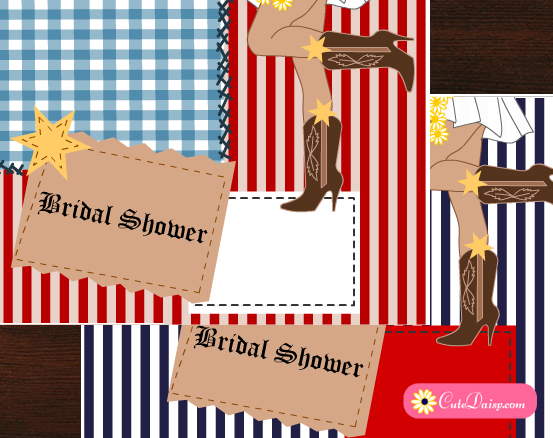 I always try to provide many color variations for my printables. 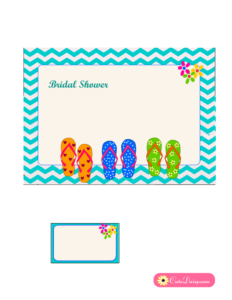 Click here to download the PDF template for this beach party invitation in aqua color. Please like and share this post on Facebook, Pinterest and other social media.